You’re a busy manager or business owner. You have a lot on your mind and there are challenging sales goals to meet. 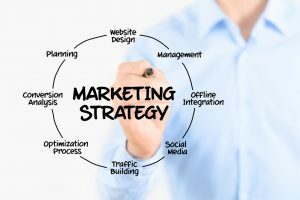 Perhaps you have thought about generating more business through a marketing campaign, but you’re not sure what methods will work for your business or how to get started. FusionTech Media can create a customized, industry specific Marketing Plan that achieves your business goals and generates sales. Our agency is skilled in a variety of marketing platforms and methodologies to ensure that you are reaching customers from every angle. Our expertise in the digital marketing field helps us to position your company in the best light possible online, where many new customers are discovering your business. Together, we will decide what aspects of social media, email marketing, search marketing, web development and branding are best for your business based on its size, client base and long term growth goals. Begin your marketing journey with us today! To learn more about how FusionTech Media can help your business to increase revenue and gain more customers, please fill out to Contact Us form in the footer below.